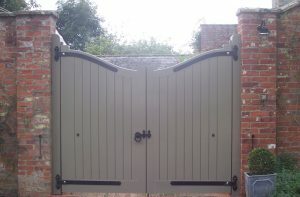 Our Aldeburgh gates are robust and long lasting. With decorative top open panelling, these heavy duty entrance gates are an attractive alternative to the Hadleigh gates. 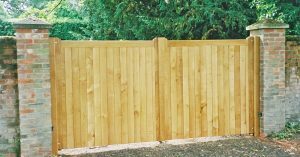 Our Closeboard gates are ideal for use alongside closeboard fencing panels or brickwork. 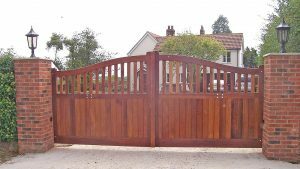 We use hardwood timber to build a robust and long lasting entrance gate. 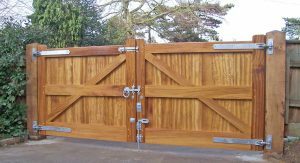 Our hardwood timber Framlington gates are expertly made with a distinctive squared design. These heavy duty gates are built with durability in mind. Our Hadleigh gates are heavy duty braced entrance gates, offering a high level of strength and durability. With their simple design, they offer a smart and attractive entrance gate. 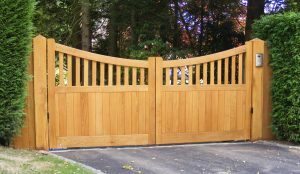 With flexibility in the use of soft or hardwood timber, the Needham entrance gates offer a high level of durability. Our Needham gates come with a decorative curved top and diagonal bracing. 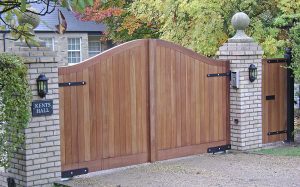 With their decorative design, our Newmarket gates are robust and long lasting. 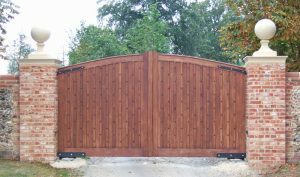 Comes with attractive veritical panelling, these gates are fulling braced and come in soft and hardwood timber. With their decorative curved finish our Southwold entrance gates are made from hardwood timbers. Fulling braced, to give a strong and durable gate for your property. Our Shotley gates have a simple vertical panel design and curved top feature. These heavy duty gates come in hardwood timbers for excellent durability. Our St. Edmundsbury entrance gates boast a distinctive scooped design. These attractive, heavy-duty gates are built to last and offer excellent durability.